Hey, this is a non-profit org that organizes FreeWalkingTours in the city of Thessaloniki and the only organized tour of sorts. 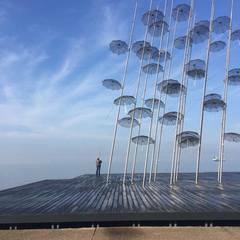 Like other FreeWalkingTours around the world this is an informal tour that aims to give a warm welcoming to the travellers visiting the city and familiarize them with Thessaloniki and its multicultural identity. Highly recommented early upon your arrival . . !